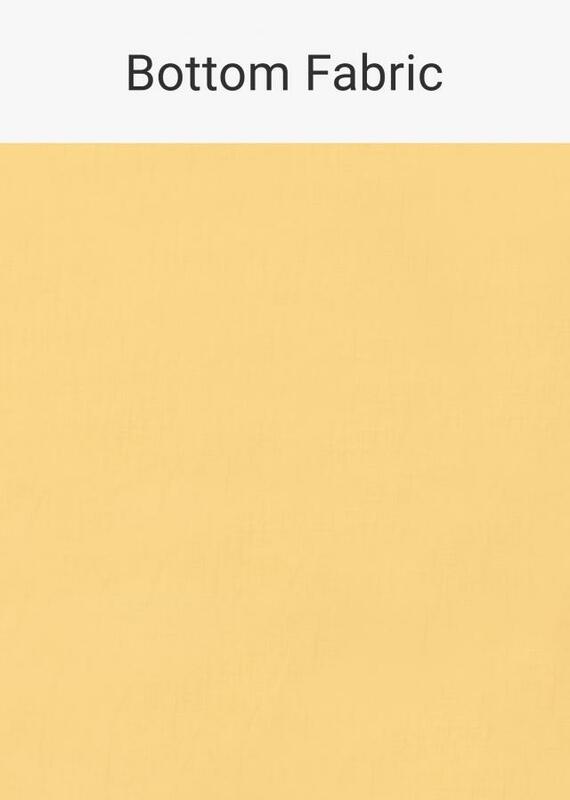 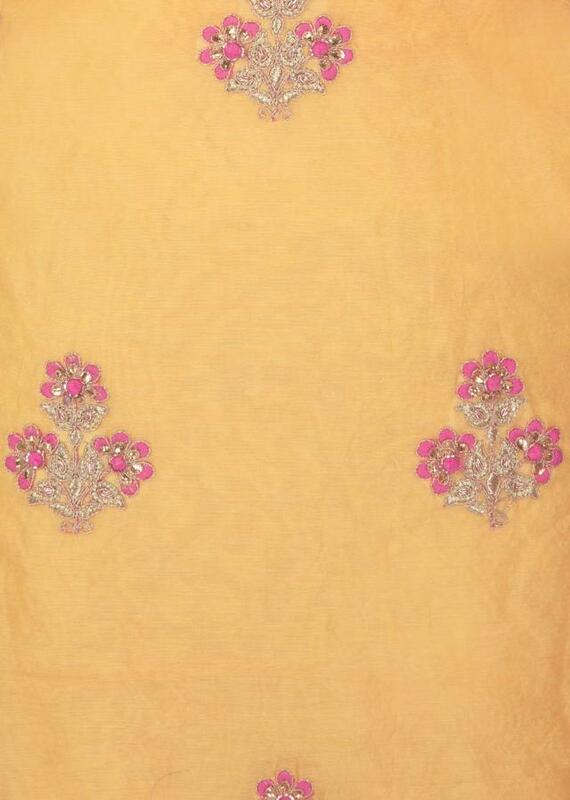 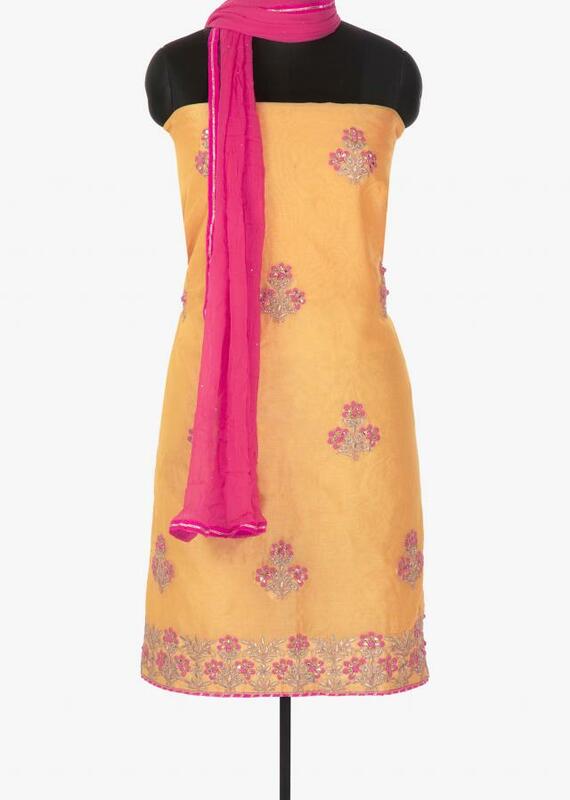 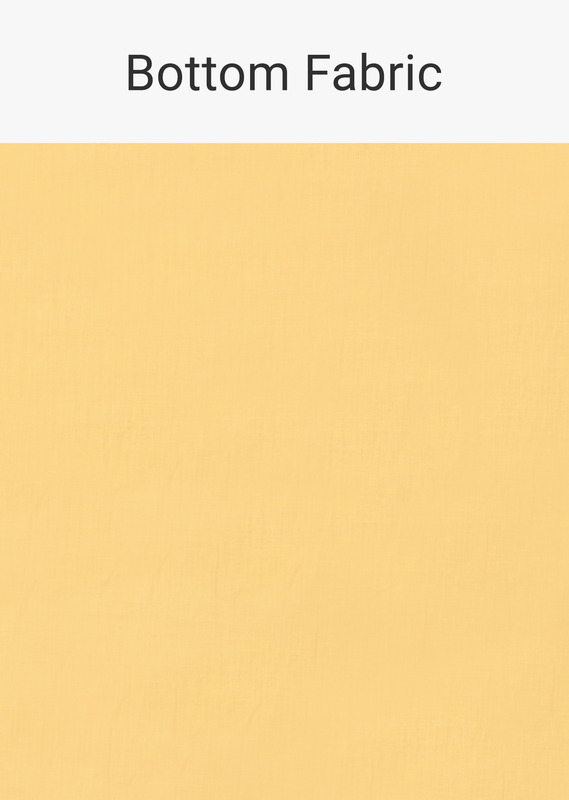 Butter yellow unstitched top featuring in cotton silk. 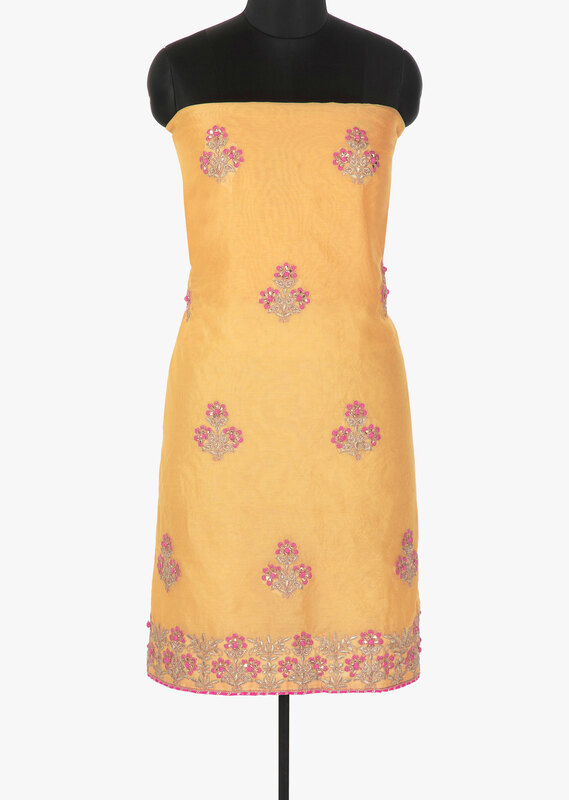 Its embellished in resham and cut dana embroidered floral butti. Matched with cotton bottom fabric and pink chiffon dupatta.